What's In My Bag? Artist's inside secrets revealed! 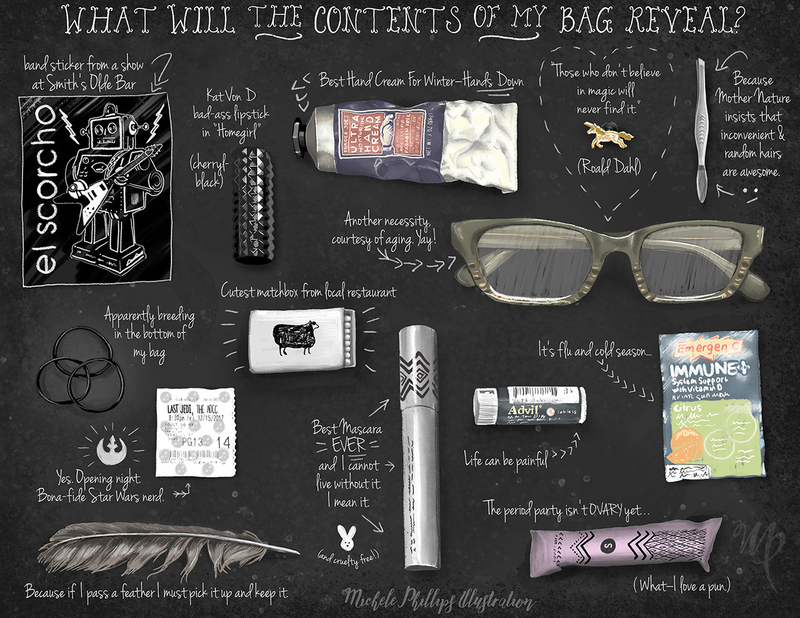 what better way to give a sneak peek into the mind of an ordinary ol' artist like me than to draw staples of my bag's contents? Drawing everyday objects and what they reveal as a collection is very fascinating. Plus, puns are fun.